North Bank near Whittlesey will reopen before rush hour this afternoon after a week of being closed due to the risk of flooding. The road closed on Friday, January 8, and then, after being reopened momentarily, closed again by Peterborough City Council on Tuesday January 12 to minimise the risk. 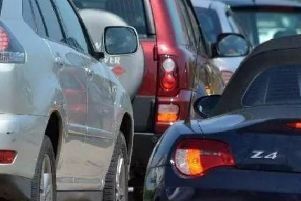 Traffic was diverted via Whittlesey Road, The Causeway, A47, Paston Parkway, Parnwell Way, Oxney Road, Edgerley Drain Road, Storey’s Bar Road, Pearces Road, Northey Road and vice versa. Peterborough City Council said the road would reopen this afternoon, Friday January 15, before rush hour.